Home » kids resources » Knowledge » Science » Solar System » Space » Universe » Have We Ever Discovered an Additional Planets Inside Our Own Solar System? Have We Ever Discovered an Additional Planets Inside Our Own Solar System? 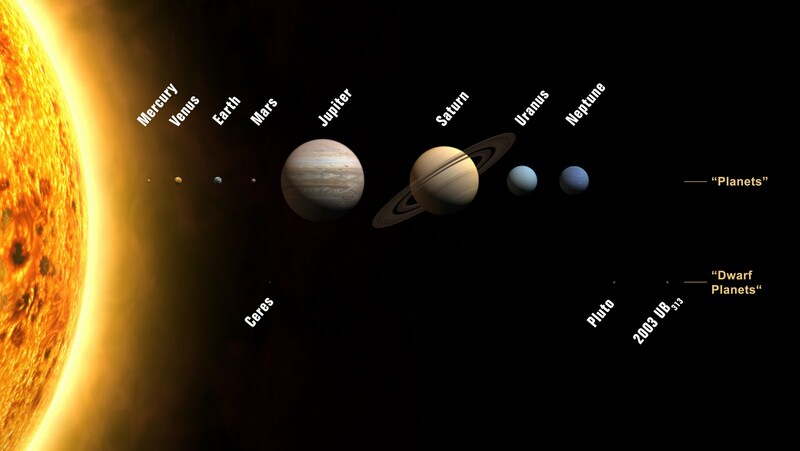 If you think you know how the Solar System is arranged, think again. Because there just might be another hidden planet lurking well beyond Neptune. Most of us grew up with 9 planets. Then Pluto, became a dwarf planet along with the other Kuiper Belt objects and the layout of our Solar System changed. Now we've got 8 planets and hundreds of dwarf planets. All of these objects orbit the Sun more or less regularly. Their orbits are all slightly elliptical and vary in inclination, but lets call that regular. Because there are objects beyond the Kuiper Belt that have extremely irregular orbits, and they’re throwing a bit of a wrench in how we imagine the Solar System is arranged. Sedna is a dwarf planet that traces a highly elliptical orbit around the Sun. One AU is the distance from the Earth to the Sun. Sedna only comes as close as 76 AU to the Sun and goes as far out as 940 AU. 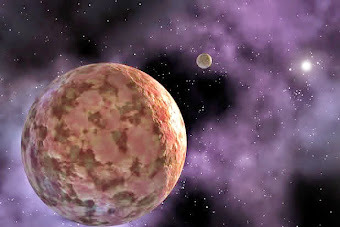 Dwarf planet Sedna got a companion out there, a recently discovered dwarf planet called 2012 VP113 that only comes as close as 80 AU from the Sun and travels as away as 452 AU. There are a small handful of other bodies with similarly strange orbits, and the question plaguing astronomers is "why?" Why are those bodies unlike all the other bodies? They aren't part of a distant debris field. They’re too far from Neptune to have their orbits perturbed by Neptune, and they’re too far from the Oort cloud. It’s possible a passing star pulled them away from the Kuiper Belt at some point. Or it’s possible there’s a massive planet out there that not only pulled these objects into their irregular orbits but is keeping them in their strangely distant place. It’s far too early to tell — astronomers will need to make a lot more observations to confirm anything. Studying the irregular orbits of these distant tiny worlds could uncover the existence of a 9th planet in our solar system or 10th, depending on your feelings about Pluto. The discovery of 2012 VP113 is adding compelling evidence to this idea. This isn’t a new way of looking for planets. It’s actually how Neptune was discovered. Neptune’s orbit was predicted based on irregularities observed in Uranus’ orbit; long behold the planet was there! Irregularities in Neptune’s orbit led to the prediction of an even more distant extra planets on our solar system. Pluto was actually found near this predicted planet but is too small to really act on Neptune. So, could the irregularities in these dwarf planets, when taken together, reveal a new planet orbiting our Sun in our own cosmic backyard? It might be a long shot, but it’s not impossible! So how do you guys feel about our ever-changing Solar System? Let us know in the comments below or you can catch us on Facebook Kwentologist. Thank you for reading Have We Ever Discovered an Additional Planets Inside Our Own Solar System? posted on the website Kwentology if you want to redistribute this article please include the link as the source. Have some kuwento to share? Contact us!